My friend in Washington, who I am going to visit later this month when I house/pet sit for my son and his wife, has been making the most adorable knitted stuffed animals. 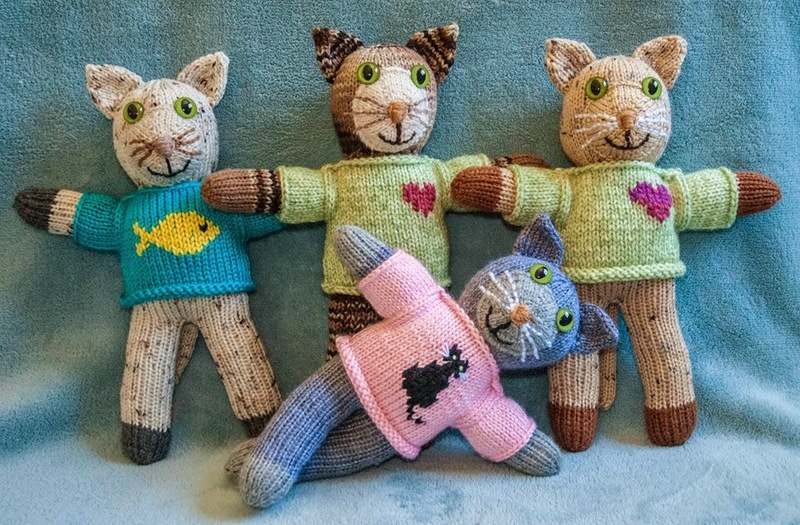 Her latest are the cutest little kittens with hand knit sweaters, too. These little cuties are for sale on Etsy at MelsNorthwestKnits.etsy.com. Meow!